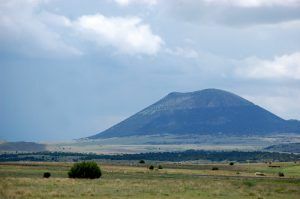 Capulin Mountain, New Mexico by Kathy Weiser-Alexander. 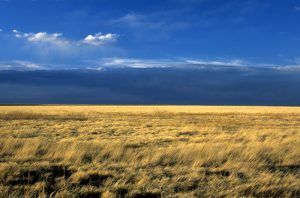 Shortly after Fort Union, New Mexico was established in 1851, Lieutenant Colonel Edwin Sumner, the fort’s commander, ordered Lieutenant John Pope to scout a better route along the Santa Fe Trail for military freight. The Granada-Fort Union Military Road ran for 200 miles south from the Arkansas River north of Old Granada, Colorado through the Comanche National Grasslands to Branson, Colorado and Emery Gap, New Mexico, before making its way east of Capulin Mountain, and continuing to Fort Union. For years, the route Pope discovered was a little-used trail, but between 1867 and 1876, this road became part of the Goodnight Trail, used to send cattle north from Texas. In the early 1870s, a Missouri man named Bazil Metcalf blazed a road down the short canyon that leads south out of Emory Gap into the Dry Cimarron Valley, in New Mexico. 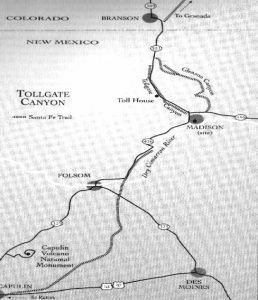 Metcalf completed the road in 1873 and opened a store and saloon near the tollgate, which was comprised of a chain stretched across the road between two boulders. The fee for passage through the canyon was 75¢ for a four-horse wagon, 40¢ for two horse team and 35¢ for buggies. A fee was also charged for the numerous cattle that were driven through on their way to feed the mining camps and military posts to the north. 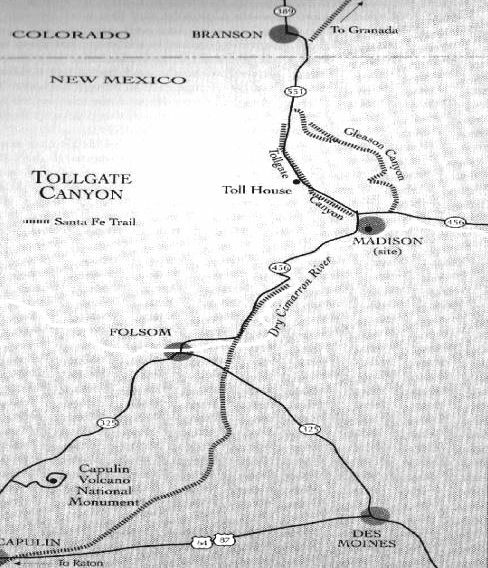 Bazil operated the tollgate with his brother John, who came from Missouri to help run the tollgate and Bazil’s ranch. The brothers weathered Comanche and Kiowa raids that struck the Dry Cimarron in the summer of 1874 that left 17 settlers dead. Bazil would have another Indian encounter in 1876 but would escape without harm. The tollgate operated from 1873 until 1885 serving as an important commercial route. When the Atchison, Topeka and Santa Fe Railroad reached Old Granada, Colorado in July 1873, the route became heavily used as tons of freight traveled south along the trail to Fort Union and beyond. 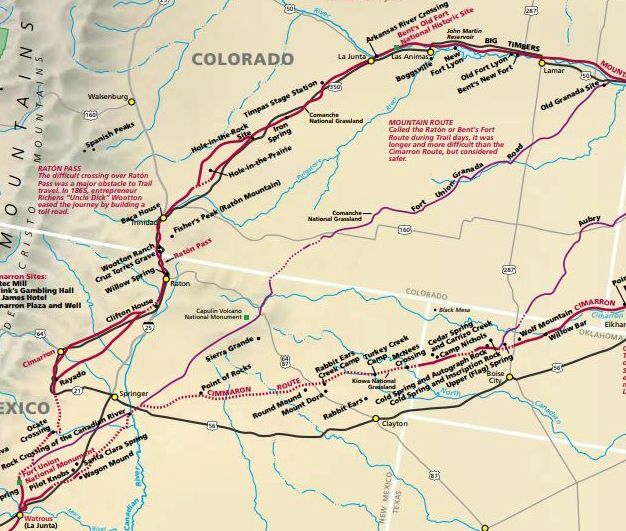 For the next several years, this trail became the major supply route for both military and civilian goods heading southwest to New Mexico. After the first steam engine reached Trinidad, Colorado in 1878 and Santa Fe, New Mexico two years later, the Granada – Fort Union Military Road fell into disuse. The road was also called the Two Buttes Fork of the Mountain Branch and the Granada Branch of the Santa Fe Trail. 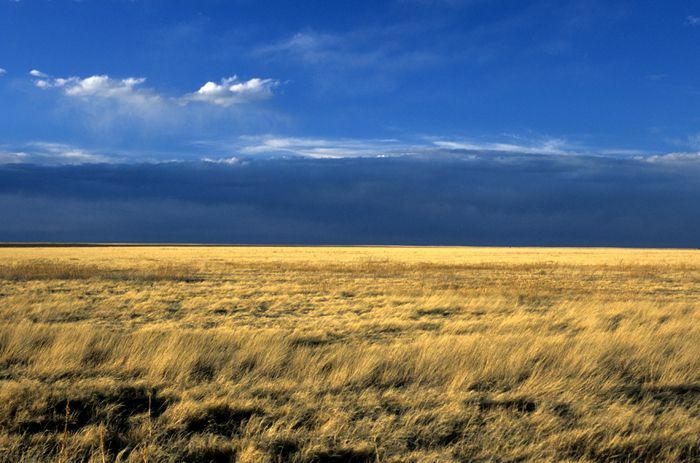 Today a 6-mile segment of the route is preserved on the Comanche National Grassland.